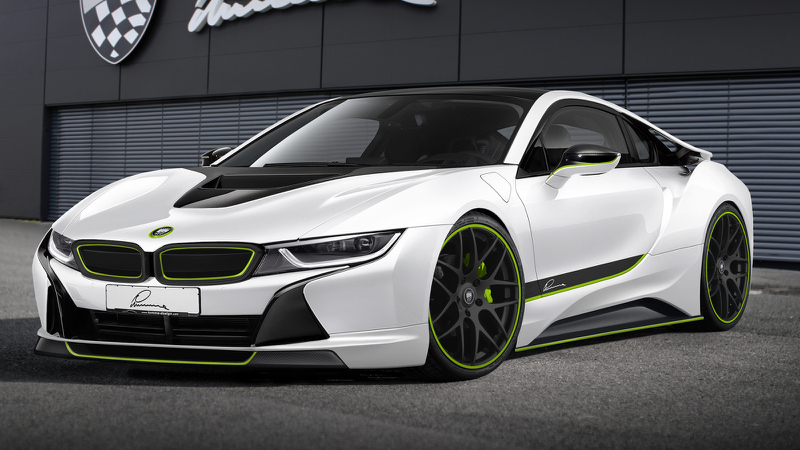 The concept LUMMA CLR I8 based on the BMW i8 relies on the high-tech material carbon - front spoiler, side skirts and rear bumper with diffuser are made of the lightweight material. A specially designed wheel and a tailor made sticker set with accents in green underline the sporty character of the vehicle. The tuning program for the concept LUMMA CLR I3 consists of a front spoiler lip, a specially designed hood and side skirts, which are all made of high-strength and ultra-light carbon. A wheel set in the design of the LUMMA CLR 22 completes the sporty appearance.